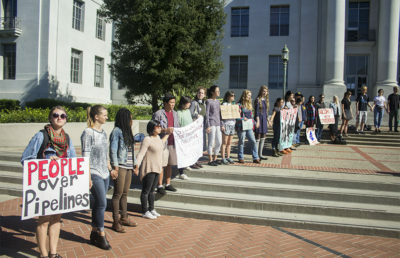 About 100 students and community members marched from campus to Downtown Berkeley protesting the Dakota Access Pipeline on Sunday, in conclusion of an environmental justice conference held on campus over the weekend. 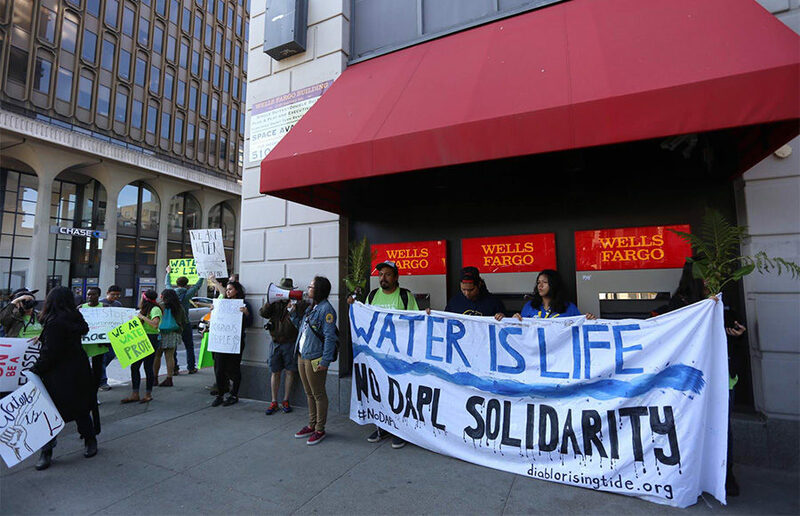 The marching intermittently stopped as speakers, including multiple students of Native American descent, presented in front of the Shattuck Avenue locations of Wells Fargo, Citibank and Bank of America — all banks indicated by SEC filings to be lenders or partners with groups that support the pipeline. 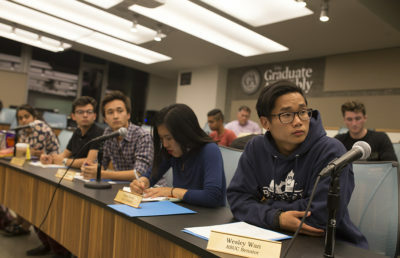 According to Daniel Adel, a spokesperson for the California Student Sustainability Coalition, protesters posted pictures of the demonstration on social media, tagging the pages and handles of the banks in an effort to pressure them to divest from the pipeline. Adel added that the protest was intended to raise awareness about the issue and that the community responded to the demonstration positively, with many people taking the crowd’s fliers and several cars honking to show support. 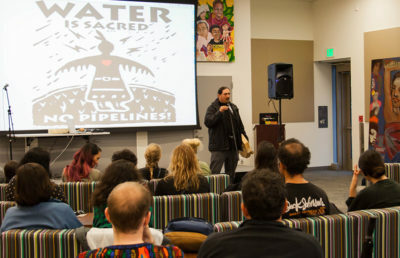 The demonstration was the final event of a conference jointly hosted by the Power Shift Network and the California Student Sustainability Coalition, which included several workshops on promoting environmental justice across the globe.